First, I’ll like thank both VSONIC and lendmeurears.com for the samples. With the success of GR07 since early 2011, VSONIC has had quite an ambition plan to develop a series of IEM that will continue to offer top value for the money. With GR06 being launched late last year, now it has been joined by the company latest flagship, the dual balanced armature based GR01, as well as the more budget oriented GR02 Bass Edition and GR99. Though being debuted as the flagship, GR01 won’t be replacing the well received GR07. Instead they will be sold side by side and both will be considered as the company’s flagship. Likewise, the GR02 Bass Edition won’t be replacing the normal GR02 (which is the renamed R02 Pro II), but will be offered side by side as well. Price wise, GR01 can be found online for US$185, GR06 is around $65, GR02 Bass Edition is around US$35 and GR99 is around $25. All VSONIC models now come with the new white+transparent packaging – smaller than what VSONIC used to have and more practical. 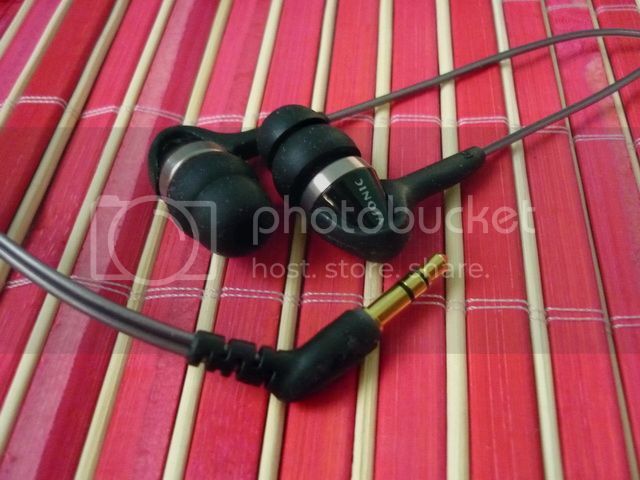 The key now is to show off the IEM upfront, and it works out quite well. However, the packaging doesn’t not just looking prettier – it also has a lot more accessories than the old packaging. 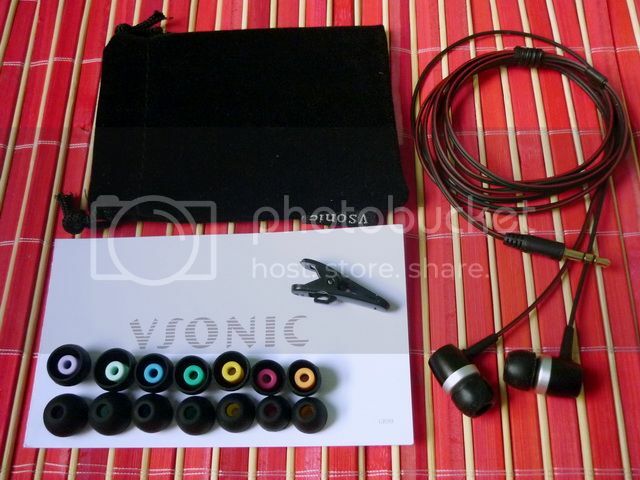 While VSONIC has never cut back on accessories on their older packaging, the newer packaging just stuff full of them. 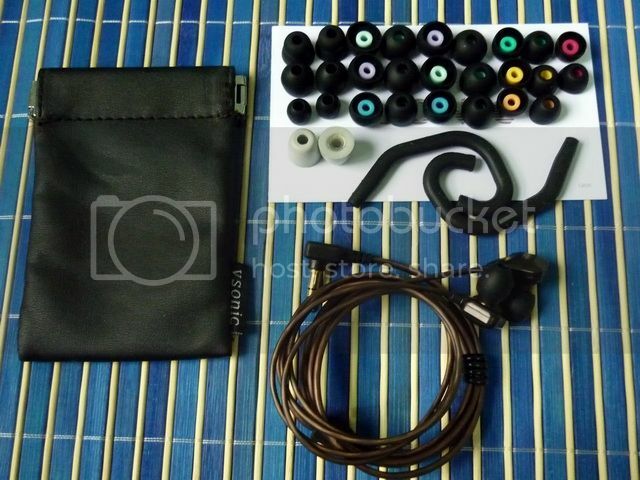 They all have a storage pouch (soft pouch for GR99 and pleather for the rest), ear guide for GR06 and shirt clip for the rest, and a massive amount of eartips (8 pairs for GR99 and 14 pairs for the rest). Most of these eartips are good quality Hybrid style eartips. There are also a few foam filled Hybrid for GR01 as well. 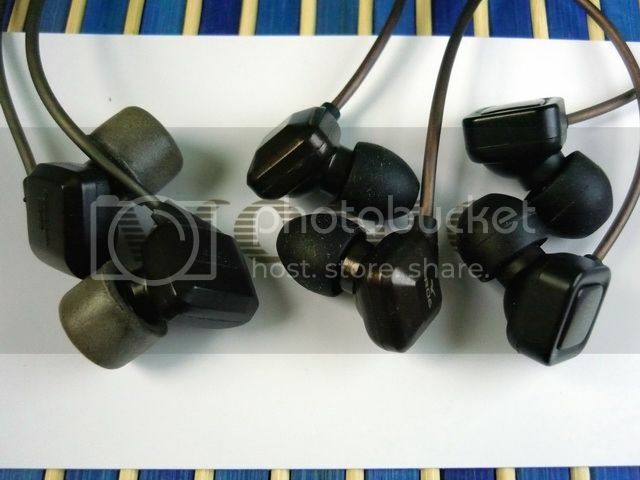 Needless to say the overall build quality of all 4 IEM models is still really high, but not the highest. While the rest comes with similar cable we have seen on GR07 (though different in what wires are used within), GR99 comes with a more regular looking cable that is still pretty good in quality. GR99 also has aluminum housing that seems to be largely vented on the back. But it is hard to say for sure since it actually doesn’t leak (in or out) a lot of sound, as opposite to what you would expect from such a large vent. 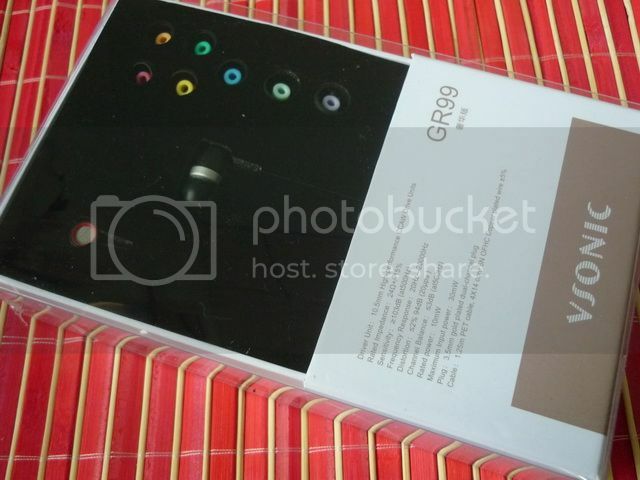 GR06 is much closer looking to GR04 / R04 and GR07 with its over-the-ear design, squared housing and moveable nozzle. The only downside of GR06 is that it doesn’t have a chin glider. 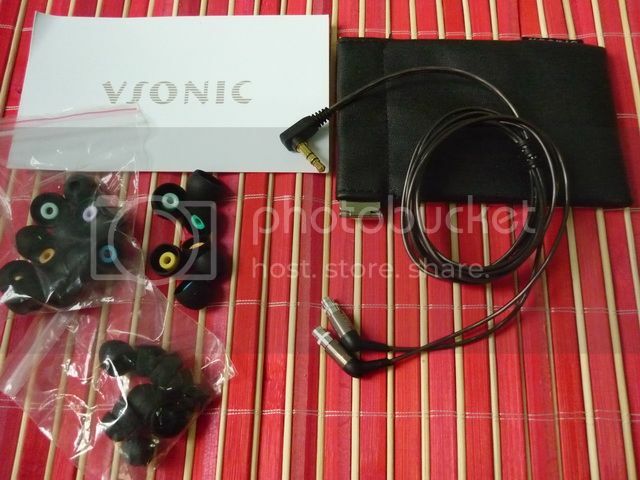 Fortunately VSONIC does include a pair of ear guide in the package so it is not a total lost. GR02 Bass Edition on the other hand looks just as good as my old R02 Pro II (known as the regular GR02 now) with a slightly different color. Last but not least, the new flagship GR01 looks just as good the other models. It has a slightly long’ish body, almost as long an Etymotic ER4. 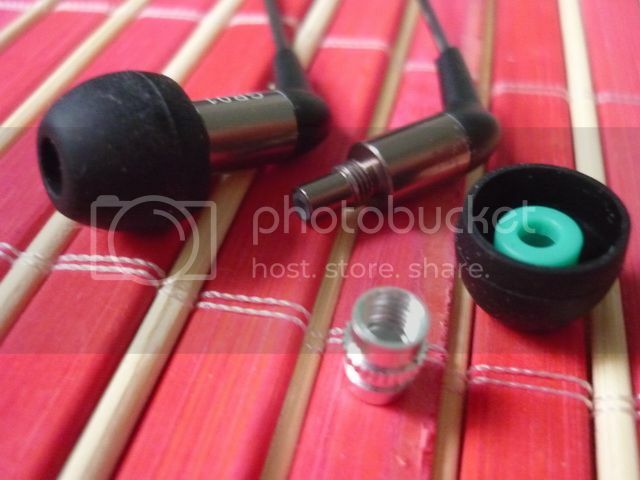 The nozzle has a removable ‘cap’ that functions similar to that found on Apple’s dual driver IEM, with the one metal mesh and a paper filter inside. I don’t recommend removing the cap without good reason since you can easy lose those filters and it will be hard to find replacement. Also, make sure you have tightened those cap as tightly as you can. Comfort wise, they are all quite good. But as I have mentioned above, GR01 can stick out from the ear a bit due to its length. This means it is not quite suitable for over-the-ear. The good news is that it is very light so it won’t get into the way much. Isolation wise, all models are above average. Good for day-to-day use, but not nearly the most isolated. On the downsides, GR99 and GR01 can be slightly more microphonics at time, but using the included shirt clip should take care of the problem. Overall I am impressed by VSONIC again. They have made good products in the past, but they have pushed for even higher standard with the new release. 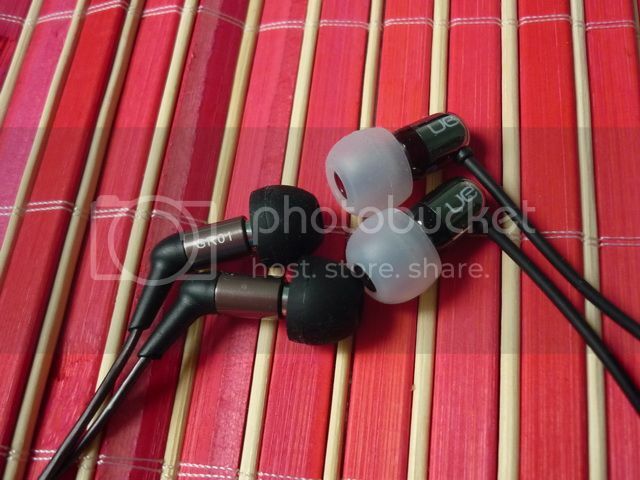 This is especially obvious when we look at GR99, which is packed like a $100 IEM when it has sub$30 price tag. I hope we don’t get spoiled after this, or should we expect from other manufacturers as well? All IEM have been burnt-in for over 50 hours before the review. No significant change was detected. Though all VSONIC models are named in number, they are not actually an indication of sound quality. We will start from the highest number to the lowest. GR99 is the latest low end of the VSONIC line-up. The original lowest end, the R02 Pro II, has been reformulated and became the new GR02 series (*which has a total of three different models, including the Bass edition) and a small price bump from around $25 to around $30~$35. The original price spot is now occupied by GR99. I have recommended the old R02 Pro II with a Sonic Diamond because of its good price/value ratio and a warm, bassy and smooth sound that is very easy-going. In comparison, the new GR99 is almost just as good – less warm and tighter in bass, more balance in overall presentation and better extended in treble. In short, it has a good portion of everything but not excessive in any. It still has the VSONIC’s warm and sweet house-sound, just less colored while still maintains a smooth and easy-going nature. Soundstage is quite decent, neither particular wide nor feel the lack of. Less fun sounding than R02 Pro II while technically more accurate, the great strength of GR99 is perhaps its lack of real weakness. For under $30 and a performance that ties R02 Pro II and DUNU Trident, you can hardly ask for more. With a very warm and mid centric sound, GR06’s strength is in presenting texture and an upfront vocal. In a way, it shares a large portion of its sound signature with GR04, but much more upfront in the vocal and thus makes it less versatile when it comes to genre compatibility. Though a strong mid centric sound, the bass is by no mean weak in anyway. It still hits deep and impactful, but just not in the center of the whole presentation. Mid is where GR06 shines, with a lot sweetness and texture. Treble actually extends slightly further than GR04, but also feels slightly more busy as well. While it is crisp, it is not as clear as it can be as it can be slightly grainy at time. Soundstage is, as expected, sub-par when compared to other warm sounding IEM of the same caliber, like MEElec A151 and Creative In-Ear2. But in exchange, GR06 offers more texture and detail to the mid. GR02 Bass Edition has a somewhat misleading name that would trick a person to think that it is the old GR02 with more bass. While it is true that the Bass Edition does have more bass than the regular GR02, the improvement in bass is in offering more body and texture. The overall depth and impact are rather similar between the two. Abundant in bass? Yes, but not bass monster just yet. The biggest improvement comes in a more upfront mid and a well extended treble, giving it the same GR99’s sound signature that is warm and fairly equal in all frequencies. The improvements from GR99 to GR02 Bass Edition are better dynamic, richer tone and overall better detail. Nothing night and day, but still noticeable in direct comparison. This makes it almost as good sounding as GR04 even though it lacks a single big wow factor. Soundstage is decent as well, just nothing special to write home about. Like GR99, the versatility of the sound and lack of any particular weakness are GR02 Bass Edition’s greatest strength. However, if you consider that you are getting a better sound than both R02 Pro II and GR99 for $10 more – probably not the smartest pricing strategy for VSONIC but good news to the buyer. 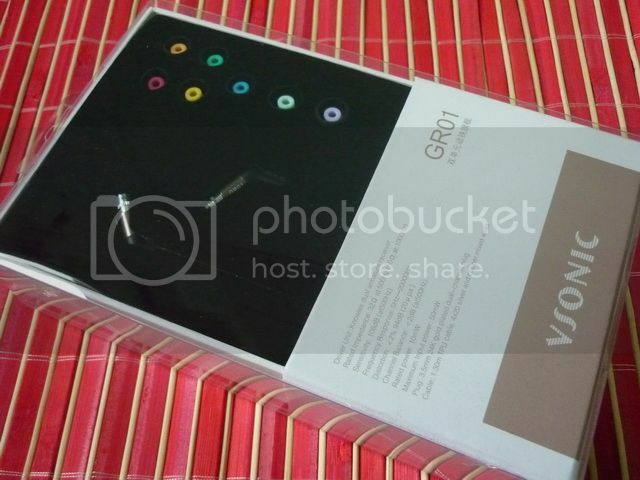 GR01 is the new flagship for VSONIC, no doubt about it. Simply put, it is a dual driver that makes very little compromise in sound, and the best sounding Knowles TWFK based balanced armature IEM I have heard so far. When it comes to TWFK based dual driver IEM, they seem to be more popular with a bright, analytical and somewhat aggressive sound (i.e. Fischer Audio DBA-02, Brainwavz B2, and EXS X20). 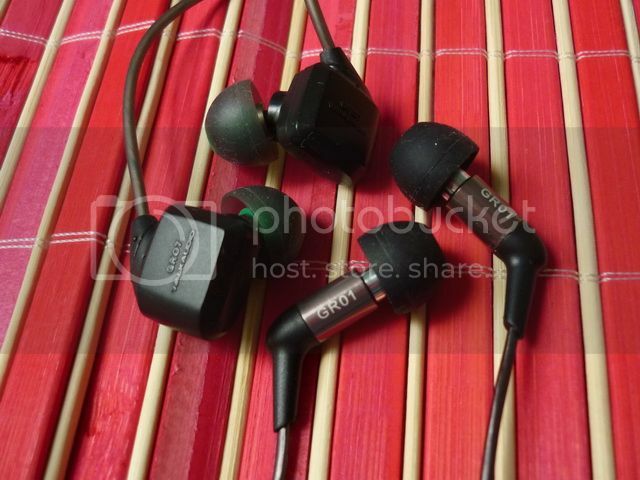 GR01 on the other hand is the rare breed of having warm and sweet sound, much like the UE700. With UE700, the top can be just a little too smooth. While it is still crisp, sparkle from upmost portion of the music is often missing and make the music less airy than it can be and even feels dull at time. With GR01, the treble extends just a hair better and doesn’t feel lacking too much air anymore. At the same time, it is very well behaved without any emphasis on brightness, aggressiveness or graininess. It has a very delicate balance that keeps the VSONIC house-sound intact while offering a great amount of detail. However, analytical listener who are used to B2/DBA-02 type of brightness probably won’t find it enough. Mid is clean and detail, slightly on the warm side but neither particularly upfront nor recessed. If anything, it has better texture and fullness than that of DBA-02 or B2, and even slightly ahead of UE700. Bass reaches down quite deep with decent quality but a little short on quantity. It comes slightly short in impact when compared to UE700 and needless to say, far less in amount and depth than that of GR07. Though the amount of bass isn’t much more than DBA-02/B2, it does have better texture and decay that gives it a more solid body. Soundstage is quite good. Not as wide as GR07 but has a better resolution and layer. Overall, the amounts of bass, mid and treble are in good balance and give GR01 a warm and slightly sweet sound signature that is tilting toward being neutral in presentation. It doesn’t quite have the kind of fun and dynamic sound that is found on lower end VSONIC. However, it is much refined – tight, detail, accurate, and very well controlled with a right mix of technicality and musicality, showing how careful tuning can push the limitation of the TWFK drivers. 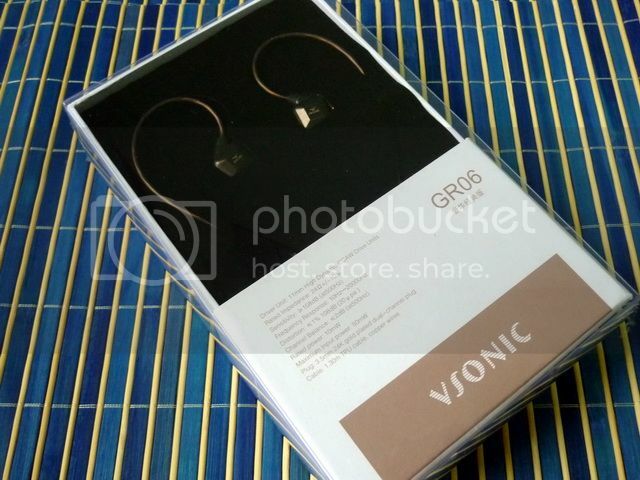 While GR01 does sound better than most TWFK based IEM, it doesn’t surpass GR07 by much – more polite and more balance technically, GR01 represent another highly tuned IEM from VSONIC that can sit face to face with GR07 without coming short. Where GR07 excels in texture, bass and soundstage, GR01 excels in detail, control and linearity in frequency response. 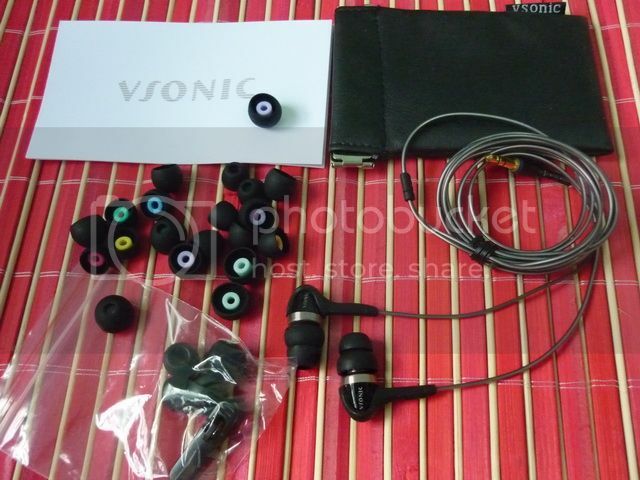 It is rather hard to put value to these VSONIC without being seen as hype of some kind. After all, I’ll like to hand out 3 Sonic Diamond in a review of 4 models; but on the other hand, I don’t want people to think I am giving the highest recommendation away too easily. While I still see DUNU for having the best build quality among Chinese brands, VSONIC isn’t that far behind themselves. 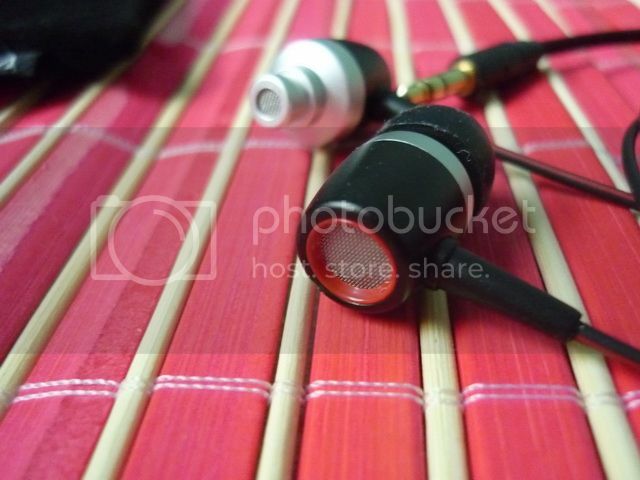 Sound quality wise, they have more than proven their ability. It is easier to justify the lower end models – they are just good for the money. 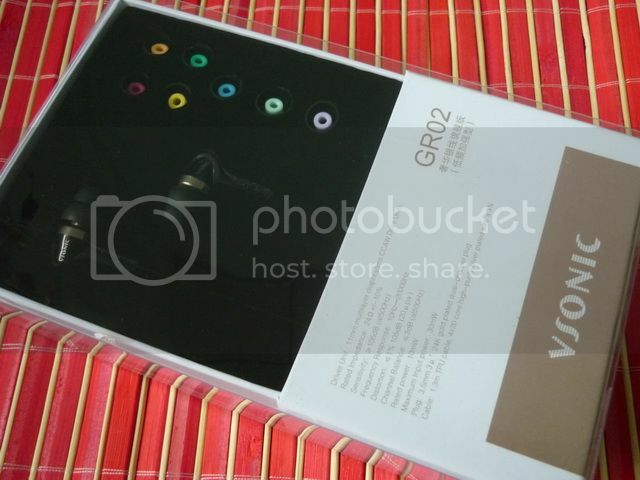 But it is trickier for GR01 since it has higher MSRP than most TWFK based dual driver IEM (*around $210, though you can get it from $185 for now) and also more expensive compared to GR07. 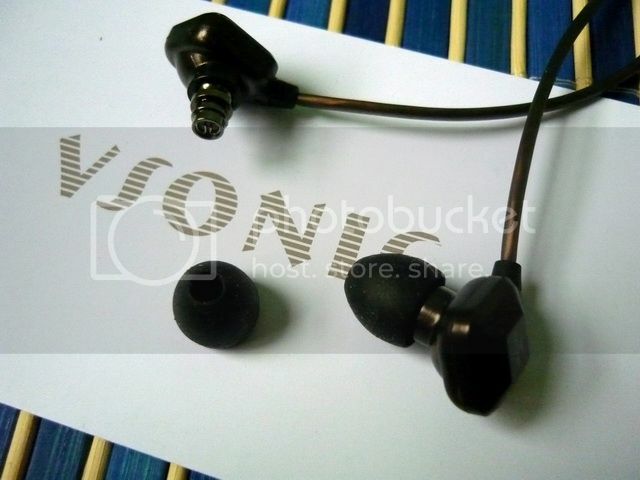 However, it also has sound quality that rivals dual and three drivers IEM from big brands like Westone or Shure, which usually go for $300+. At the end, I just have to give it to VSONIC for continuing to push for ever higher price/performance ratio in their products. Thus, my highest recommendations of Sonic Diamond go to GR99 [4.85 / 5] , GR02 Bass Edition [4.9 /5] and GR01 [4.85 /5] .